Our state’s largest employer is restaurants, which employ close to 230,000 people in Washington. Add to that the 31,364 people who work in the state’s lodging industry, and you see just how important the hospitality industry is to Washington’s economy. Additionally, restaurants are the employer of the first step that gets people started in the world of work. Our state’s restaurant model, however, is changing. Since 2002, Washington’s restaurant model has been 36 percent for labor, 30 percent for food and 36 percent for everything else. This, however, will soon change in 2016. A minimum wage increase of some kind is coming. Even if you live somewhere other than Seattle or Tacoma, you can you be sure that this is going to affect your operation. Minimum wage increases, however, are not the only things coming down the pike that will affect your labor costs. Unemployment is going to drop nationally, in the coming year, to about 5.2 percent. There will not be a lot of extra workers. The generation that’s coming into the workforce is much smaller than the generation that’s leaving. Finding excellent workers to keep our industry great is going to become much more difficult. And there’s more. Federal overtime laws being proposed right now will greatly change the way salaried workers do their jobs. The health-care mandate will be pretty much fully implemented by the end of next year. Leave mandates are continuing to build momentum. And new scheduling restrictions are being proposed. Of course, this is a union agenda. Union membership is dropping, and younger workers are not interested in joining. Unions know it’s difficult to organize employees who only work 15 hours per week. Thus, unions are trying to force restaurants to employ more full-time workers since they are more like to vote to join a union. The handwriting is on the wall: Our current restaurant model will die in 2016. Like it or not, labor costs are going up. The secret of surviving in the new environment is to face reality. You will need fierce resolve and belief that you will get through these changes. Build a network with your fellow operators. Talk and think about how the business model will be different. Stop ignoring politics. While you may hate the political process, you ignore it at your own peril, especially in local communities, where much of the action on workplace issues is happening. Use the WRA as your filter. Get to know your mayor and city councilmembers on a first name basis. Tell them about your business problems and concerns. Emphasize your local community ties, especially if you own a franchise. Consider outsourcing non-core functions. If it’s not great customer service or great food, get someone who is excellent at performing in areas like HR, bookkeeping, accounting or tech. Find ways to relate to Millennials. They are your future both as employees and consumers. Be transparent, open, honest and clear. You’re going to have to make changes in the coming year. Not being honest with employees and customers about why you’re making changes will not help you. If you’re truthful, you can show your customers how public policies have impact on your operation. We, at the WRA, have been hearing talk or, as we like to call it, “buzzes” about how operators are responding to these new challenges. 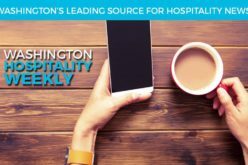 In the following pages, you’ll get these latest seven buzzes on what’s happening in the FSR and QSR segments of the restaurant industry in addition to seven buzzes from the lodging world. Rest assured that there will still be restaurants and hotels in 2020, and there will be lots of them, but they’re going to be different. 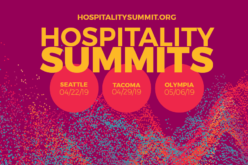 Start preparing now for the new world of hospitality.